The K-9 captured our hearts and a Rhode Islander of the Year award. There’s a reason why people jump into action on social media when a dog goes missing. Most of us know what it feels like to lose our best friend and fear she’ll never come back. And Ruby — well, she was a best friend to all of us. 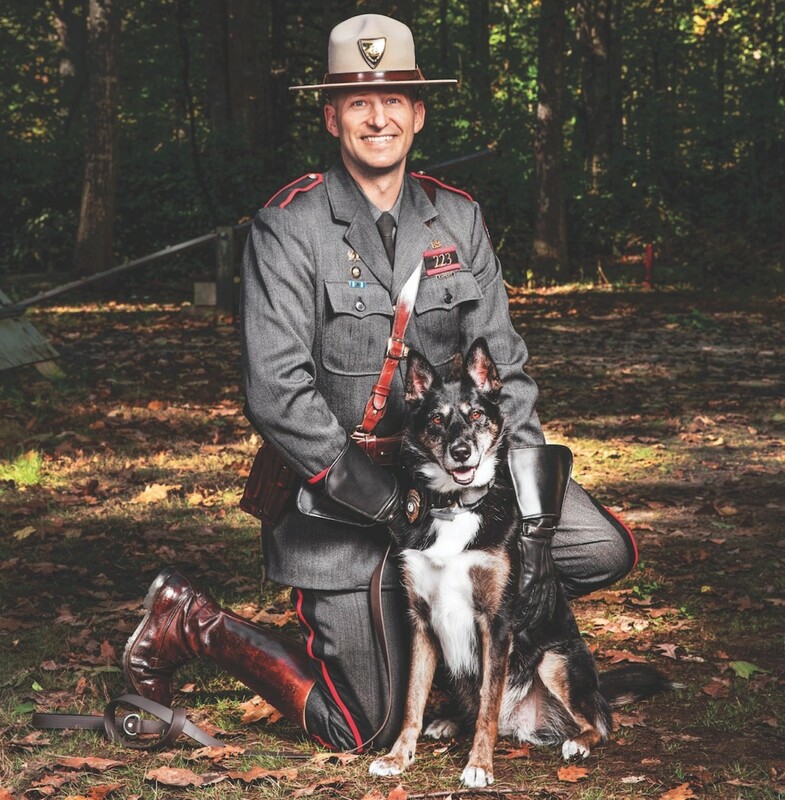 The rescue dog-turned-rescuer, who made the cover of our annual Rhode Islanders of the Year awards with her handler, state trooper Daniel O’Neil, took off on Monday morning at Goddard Park in Warwick, according to a Facebook post by the Rhode Island State Police that was shared more than 3,600 times in just a few hours. Some commenters wondered how a trained search and rescue dog could take off like that. Ruby can’t explain herself, but it’s easy to speculate: She’s a little rascal; always has been. But sometimes being ourselves means getting into trouble and, no doubt, Ruby’s escape on Monday scared the hell out of O’Neil, who not only trained Ruby from the very beginning but welcomed her into his family. “Ruby had such an unstable and chaotic first eight months of her life,” O’Neil told me in our “Rhode Islanders of the Year” interview. “She was bouncing around like a foster child. She was lashing out. She didn’t know who would show her love.” O’Neil showed her love, and she flourished. Sorry to say, Ruby, but the vacation’s over. Hopefully you won’t have to get on an airplane, pose for photos or get scolded by talk show hosts anytime soon. But if you do, we won’t blame you for taking some time to let loose and be free. We’ll love you either way.